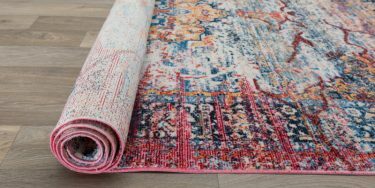 Have you ever considered whether the rug you chose is what is making your living space less visually appealing or functional? As one design expert said, the shape of your area rug can make or break the overall look of your room. And if you are sitting there scratching your head about this, wondering just what shapes are available, we’ll spend some time exploring the issue. 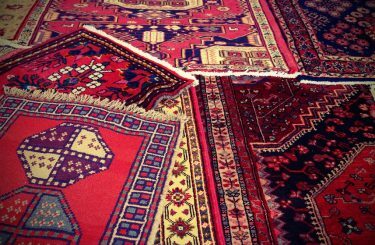 Rugs, as you may or may not have realized can be perfectly circular, oval, square and rectangular and even feature an array of shapes. The different shapes can be paired with different sizes to generate almost any sort of effect. When decorating a new (i.e. empty) space or redecorating, it is a great idea to take the time to choose the rug first and then build the space around it. Now, that is NOT to say that you should buy a rug you love and then make the rest of the room work around it. No, what we mean is that you should take a bit of time to sketch out the way you envision that space working. For example, consider where you will sit, stand and travel through that room. Where will furnishings work best? Where are entrances and exits, windows and heating fixtures? Once you get a good idea of the general layout of that room, you can then begin to experiment with shapes and sizes. Though round rugs have been in existence as long as rugs have, not a lot of us think of using them right away. Don’t overlook this option because a round rug is often a way to visually increase the size of a smaller space. It is great to balance lots of angles and squared edges. It makes a space a bit cozier and softer but can even add a touch of whimsy. When you use these rounded forms, though, try to match them to similar forms. For example, a round rug beneath a chandelier or supporting a round table is a fantastic design choice. These are far more traditional forms and can be used in a lot of unique ways. 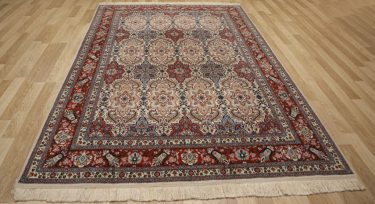 For example, runner rugs are great in front of long stretches of kitchen cabinetry or along your bedside in addition to appearing in hallways and foyers. However, the ways that squares and rectangles fit so seamlessly into the general profile of a living space also makes them great for covering large swaths of living space, such as covering most of the living room or sitting beneath the entire bed and extending out to the sides. 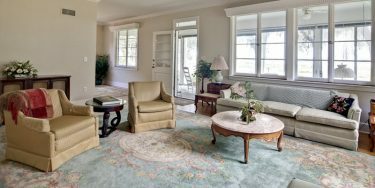 If you are eager to find a good solution for a specific space, just ask yourself a simple question: Do you want the shape of the rug to mirror that shape or counteract it. For example, a bay window’s squared form can be fitted with a square rug, but a round rug may give you the softening your design scheme needs. Using these basic tips, you can start to explore just which shapes would look best in your living spaces, whether it is the kitchen, bath, bedroom or anywhere else!